What is the relation between these initiatives. 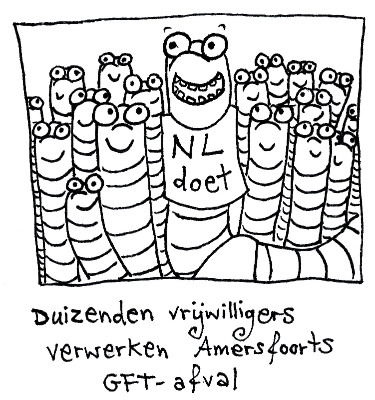 Well they are all part of the Amersfoort Local Action Plan on sustainable food policy. After finalizing the Local Action Plan the next phase is knocking on the door: How can we help local actions in our plan to the next phase?. The core team of Amersfoort food network is nowadays present at meetings of several initiatives to discuss the possibilities of facilitating and funding the next phase (and funding is for sure not an easy hurdle to take). They call themselves ‘real food brokers’ and try to help the ‘owners of the actions’ to get further in their development of the action plan. 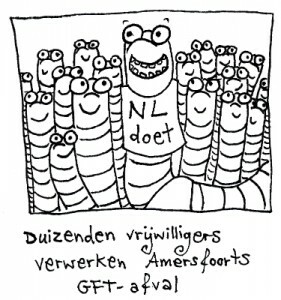 City Wormery is now on the edge of starting a small scale pilot on tiger worm composting using organic waste of Amersfoort families and catering enterprises. After a case study of students the two worm ‘masters’ organized a expert meeting to recieve feedback on there technical plans and marketing to start the pilot. A Food Hall initiative for regional food connecting local stakeholders (farmers, logistics, social participation, restaurant and health catering) has nearly finished their businessplan after several consulting sessions with partners within the local food network. They are hoping to start mid 2015. Dedicated local food network partners are at the moment looking at the possibilities to connect food production for the Amersfoort food bank with urban farming initiatives to develop a social enterprise in which on a responsible commercial scale food fresh food can be produced with the help of food bank clients for the food bank but also commercially for households and restaurants in the city.